Just about anyone with a fish tank is familiar with spilling water at some point or another (it happens to the best of us!) only a few have experienced a flood. While I have had to do an emergency tank teardown to fix a leaking bulkhead, I have never had a full flood and intend to keep it that way. With a pragmatic approach to set our tanks up right, we can limit the possibilities of having the worst happen. 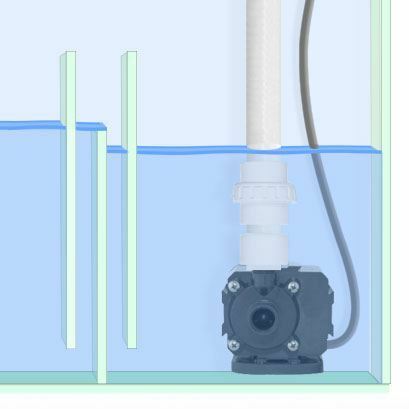 On the line that pumps from the reservoir to either the tank or the Sump, be aware that a siphon effect will occur if the outlet of the line is submerged. To avoid this, have the outlet tubing drop the water into the sump from a high level, or use a small “anti-siphon” hole in the line to prevent this. 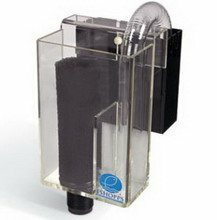 You can also use a Peristaltic Pump as your ATO pump, which are impervious to siphoning of any kind, but their flow rates are much lower than conventional pumps. Always take great care to securely fasten any hoses or tubing to the right place, as a dislodged hose can result in emptying of the reservoir in short order. Keeping an eye on your Reef Log as well will make sure that you know when it’s time to fill up your reservoir. If your ATO feed tube outlet is below the height of the ATO water height, a siphon will occur. Many reactors operate with a combination of small fittings and higher pressure, so leaks are common. Even a small pump has the ability to remove a lot of water from your system in a short time. 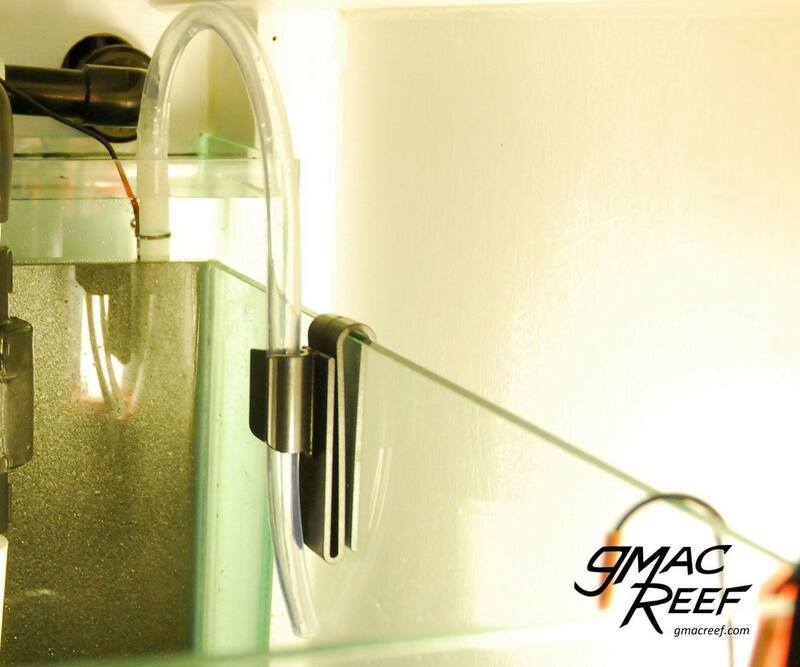 Risk can be minimized by hanging your reactor from the inside edge of the glass of the sump, so any potential leaks will be contained there as opposed to removing water from the system if located somewhere else in the cabinet. This can also be dependent on the quality of the Reactor. While some of the more expensive models are built with tight fitting, water-tight hardware, many of the cheaper ones have very flimsy rubber fittings. An extra Zip-Tie or Hose Clamp on any barbed fitting is good insurance against the chance of a hose coming loose. Float switches have been a staple of the hobby since the 90's. They are slowly being replaced by air sensors or optical sensors to trigger equipment to run in reef systems. Getting something stuck in the mechanism – Care should be taken to keep things away from float switches. Aside from pesky snails which may prevent the switch from working, a small piece of debris can get lodged inside the switch. This can be something as innocuous as a single grain of carbon. Small Wires – float switches use small, low-voltage wire running between the sensors and main unit. These wires can become crushed, stretched or cut off completely — breaking the electrical connection. Prevent this by tucking wires away from moving parts like cabinet doors or places where they can get tugged on. They won't stand up to much abuse. A pane of glass with a hole in it is weaker than one without. In this hobby, drilling holes is commonplace, but it can be easy to forget what you are doing to the strength of the glass. A bulkhead in a glass hole can be the vulnerable stress point of a tank. When you attach pipe to the bulkhead, you create a Lever. If enough force is applied to the lever, the fulcrum (the bulkhead) will cause the glass around it to crack. 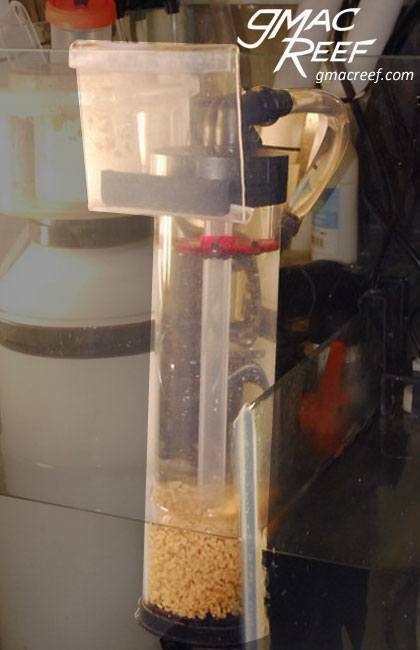 This is more common with thinner glass, but it can happen to any size tank. People have cracked their tanks from being too rough with their plumbing by pushing or pulling too hard on a pipe. Take care to secure your plumbing to the stand where possible, and be careful not to exert force on bulkheads or pipe when moving a tank. Traditional braced aquariums – wicking through the tank rim. One thing to be aware of is something called capillary action. It is also called wicking. The way that tank rims are siliconed onto the rim of the tank means that there is a tiny gap between the plastic and the glass. Due to the surface tension qualities of water, water in these tiny gaps can travel up and over the rim of the tank against gravity. This wicking can only happen if you fill the tank up too much. If you are topping up a tank, don’t let the water touch the plastic of the tank rim. Otherwise you could be looking at a leak, even though there is no crack in the tank. 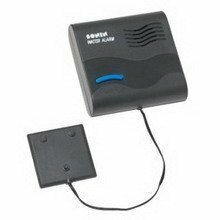 You can pick up a cheap alarm designed for basement sump systems for many home improvement store for around $10.00. This will create a loud piercing alarm when it detects water. 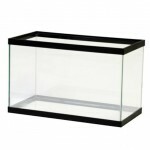 Place in your cabinet where water will collect if spilled out the sump. To do this, you can design your cabinet to make your sump sit in a “dish” to ensure water will touch the sensor before running out onto the floor. At least then if someone is home they can bring it to your attention quickly. 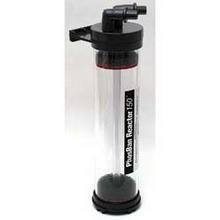 If there is a major issue with your tank – that can mean it needs to be drained completely. Being properly prepared for that occurrence can mean the difference between losing all your livestock versus bouncing back within hours. 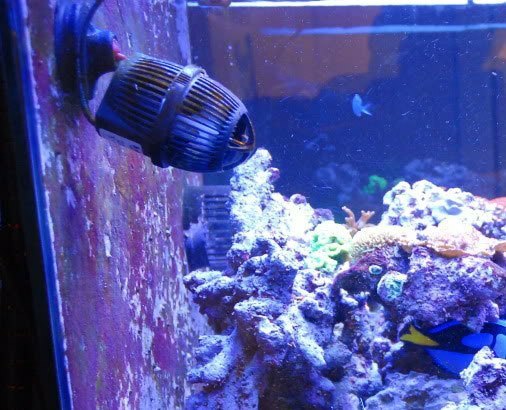 Aside from keeping plenty of both RO/DI and mixed saltwater at all times in case you have to use it, having several sturdy containers that can hold all of your rock and fish along with a heater and pump/powerhead for each one can also be a good idea. 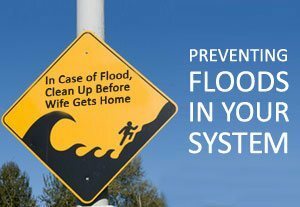 If something bad happens, you might even use something like your bathtub to hold everything if you are desperate, but it’s better to be prepared.